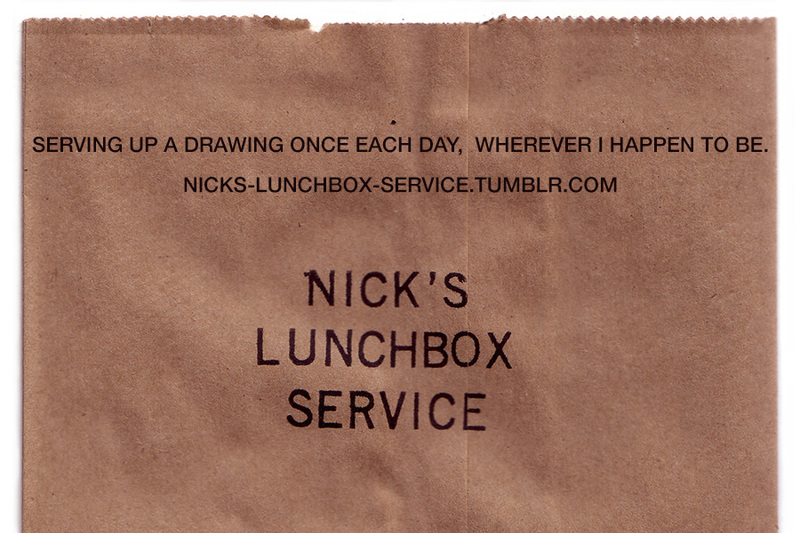 Today, May 15, 2015, marks the 500th consecutive drawing in my drawing-a-day project, “Nick’s Lunchbox Service” — a milestone. 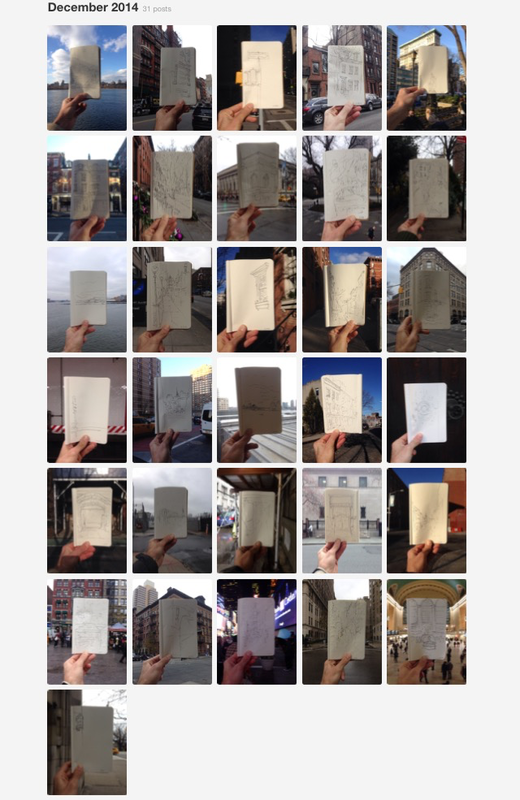 I’ve served up one drawing each and every day, wherever I happened to be be, since January 1, 2014, without missing a single one. 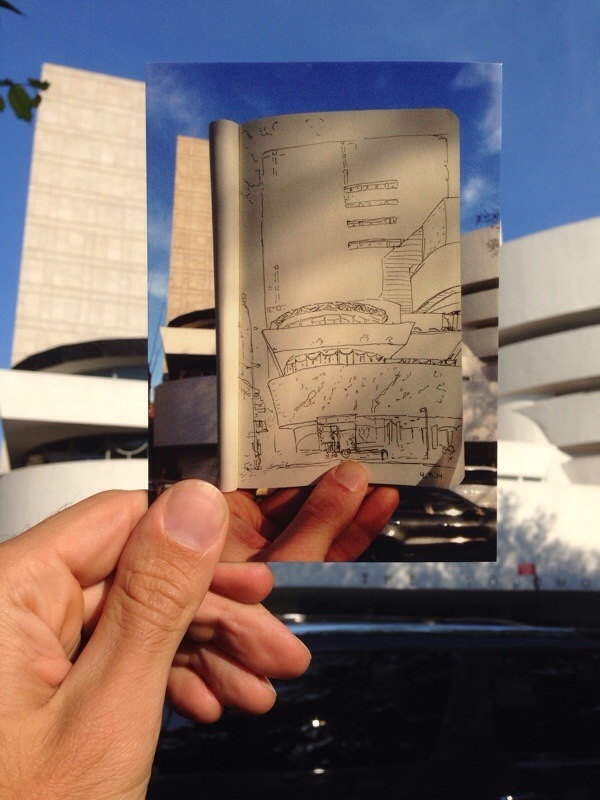 I sketch something I pass and then take a photograph of the sketchbook in front of the subject, as if it were a filter in front of the actual object. Check out the archive page on Tumblr to see them all. Most are in NYC, but the settings also include Buffalo, Columbus, Toronto, Turkey and a mountain top or two. 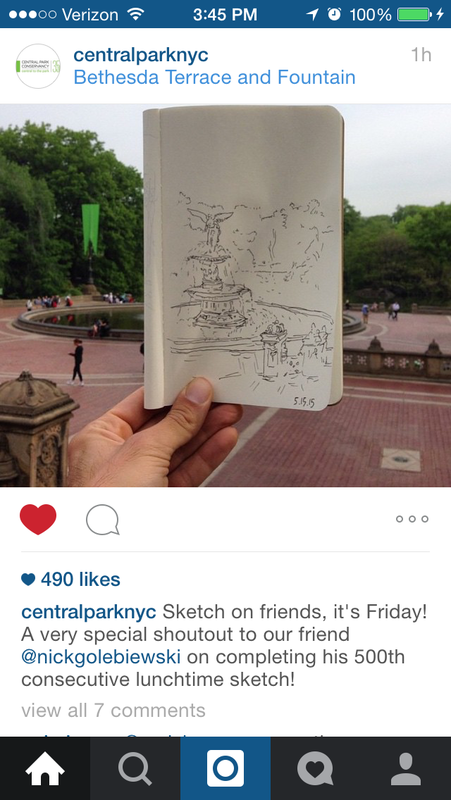 This sketchbook project lives on the Internet but it occurs in real life. It weaves in descriptions of what’s depicted, architectural history, and a diary of my life, which become much more amazing, complex and rewarding with the birth of my daughter in December. One day I’d love to make a book out of the Lunchbox drawing project. To help make that happen, please amplify the project by sharing on Instagram, Tumblr or Twitter whenever you notice an installment you particularly like. Thanks to all who already do. 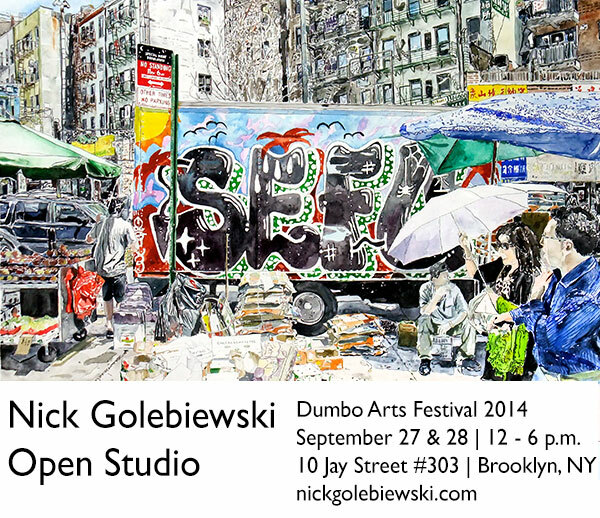 Article in the Examiner on my open studio at the Dumbo Arts Festival on September 27 and 28, 2014. New “Lunchbox” Email Service – Sign up! 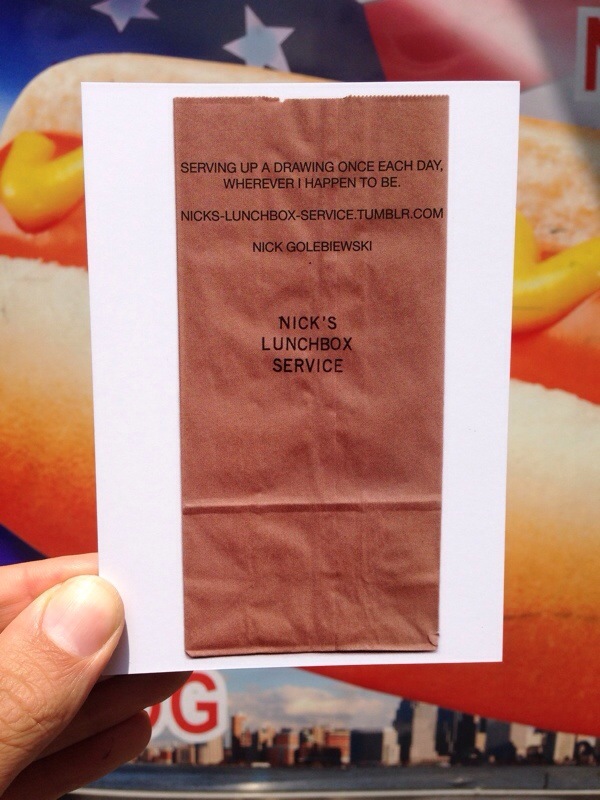 Have you wished that you could get all my “Nick’s Lunchbox Service” drawings from the last week delivered in an email every Monday? Well, you’re in luck! Saturday and Sunday, September 27 & 28 | 12 – 6 p.m.
I’ll be participating once again in the Dumbo Arts Festival, when the entire neighborhood and its artists open their doors for guests and art events all weekend long (plus food trucks!). 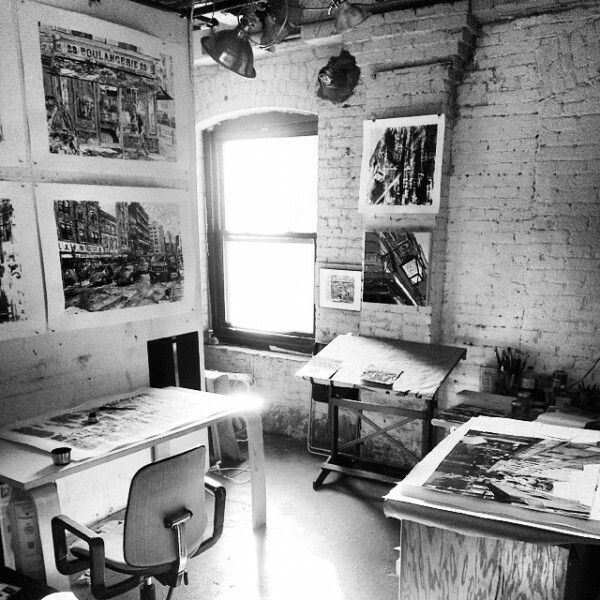 As always, I’ll be in my studio sharing my most recent work with you and anyone else who drops by. Come to 10 Jay Street #303 on Saturday Sept. 27 and Sunday Sept. 28 from noon to 6 p.m. to see my latest gouache paintings and xerox transfer drawings of Chinatown the way they were meant to be seen — in person and in large scale! 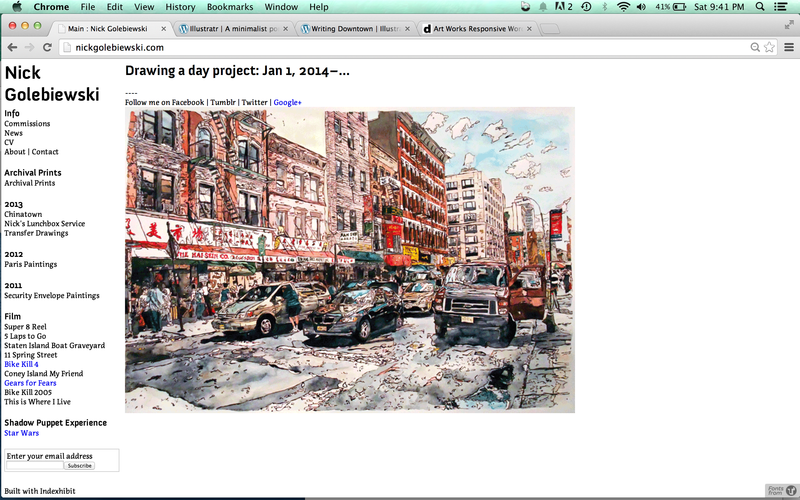 Take a look at the listing on the Dumbo Arts Festival website. 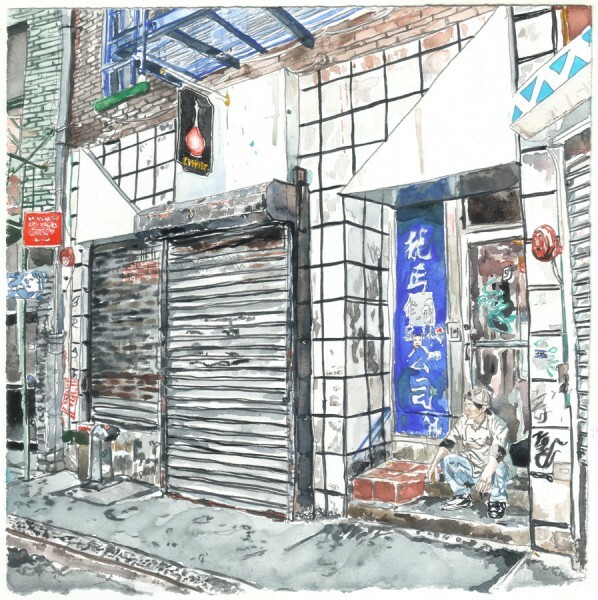 Image: Chinatown – Division Street Produce Market, 2014, gouache on paper. 2’x3’ total. My Super 8 film Bike Kill 2005 is screening in the UK on July 7 with the Cambridge Super 8 Film Festival. I got some new postcards in today for the Nick’s Lunchbox Service project today. I then went out and photographed them in the same style as the drawings. So, I just moved over from my IndexExhibit website. Hope to have this all uploaded soon.